“Explosion of sudden arson and violent hysteria throughout the country was probably a directionless and improper expression of the hurt, anger and feeling of loss of her followers. Lakhs of her followers used to see her as the only defender, powerful protector, and a symbol of united India”, Deshmukh said. “She was termed the enemy of the Sikh panth and big prizes were announced on her head. On the other hand, Bhindrawale who was guilty of heinous crimes against humanity in the name of religion was hailed as a martyr”, Deshmukh said. “Open display of such feelings in different parts of the country and abroad played a special role in increasing the distrust and alienation between the Sikhs and the rest of Indians. 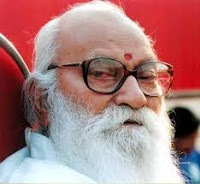 In the background of this distrust and alienation, stunned and bewildered people accepted the validity of the rumours of celebrations by the Sikhs at the heinous murder of Indira Gandhi by her Sikh bodyguards in retaliation of the army action”, Deshmukh said. “This was a most explosive situation which needed utmost patience and skillful conduct on behalf of our Sikh brothers. I am saying this, being a life member of the RSS, because on January 30, 1948 a Hindu fanatic, who was a Marathi and had no relation with the RSS, rather was a bitter critic of the Sangh, committed unfortunate killing of Mahatma Gandhi”, Deshmukh admitted.